Jacob Bloom went to his first traditional New England country dance in 1974, and has been dancing ever since. In 1977 he started calling dances, and has called for weddings, Bar Mitzvahs, block parties, monthly dances, elementary schools, middle schools, colleges, churches, senior centers, nursing homes, housewarmings, and dance festivals. He frequently calls for family groups and groups of beginners, and has been called "The best caller for beginners in the Boston area." Dances he has written have been included in books published by the New England Folk Festival Association and the Country Dance and Song Society of America. 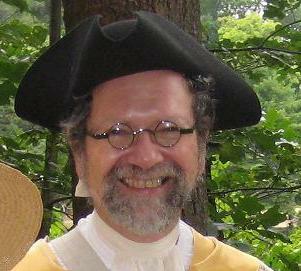 He has performed English Morris Dance, New England Country Dance, and Colonial Dance with the Black Jokers Morris Men, the Green Mountain Volunteers, the New England Chestnuts, and the Wayside Inn Steppers, including performance tours in England, Belgium and France, and has taught the Banbury Cross Children's Morris Team. He created a colonial dance program in 2000, and has been expanding and teaching it in Boston-area schools ever since. Nancy Bloom graduated Brandeis University with a degree in History in 1981. She studied dance at the American School of Ballet, and has been an avid contradancer since 1986. She performs with the Wayside Inn Steppers and also keeps abreast of the most current colonial American costuming research, which is ever-changing. 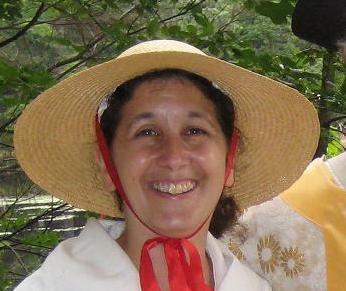 She works as a tour guide for the Lexington Historical Society (Lexington, MA) in various historical homes and on the Lexington Green, with both adults and children, as well as teaching colonial dance as part of the Dance History Alive! program. Jacob and Nancy have taught and demonstrated colonial dance in Lexington to people from around the world.